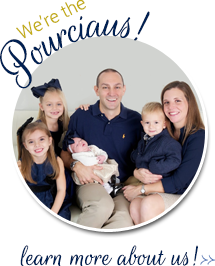 The Pourciau Family: Watts the name? Since at that point we had two little girls and seemed poised to follow in the footsteps of some of our friends who have exclusively girl families, we decided to use ourlittlegirls.com. Damon and I actually had a conversation in which I said something like: "Well, at least if we call it 'our little girls' we can be sure that the next baby will be a boy." Drumroll, please...enter Watts. Definitely not one of "our little girls." 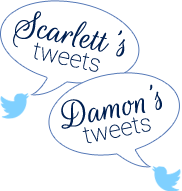 So once again, a blog name change was in order. Welcome to PourciauFamily.com. I believe that the new blog title, while not terribly creative or original, does come with at least two benefits. 1: we will never again have to change blog titles. Even if we go on to have ten more kids (don't worry, grandparents, that is not the plan) they will all be part of the family and the blog can stay the same. 2: this kind of makes the blog private. How, you may ask. I once again point to the difficult spelling of our last name. Seriously, it took me years to figure it out and lest we forget, I was once the 6th Grade State Champion Speller. (Bow to my greatness.) So for a few more months you can type in the old title and still be privy to all the fantastic things that we do, but know that the day is coming when you will either have to learn to spell our last name or lose our blog forever. Well, that or learn how to bookmark a site. Good luck!